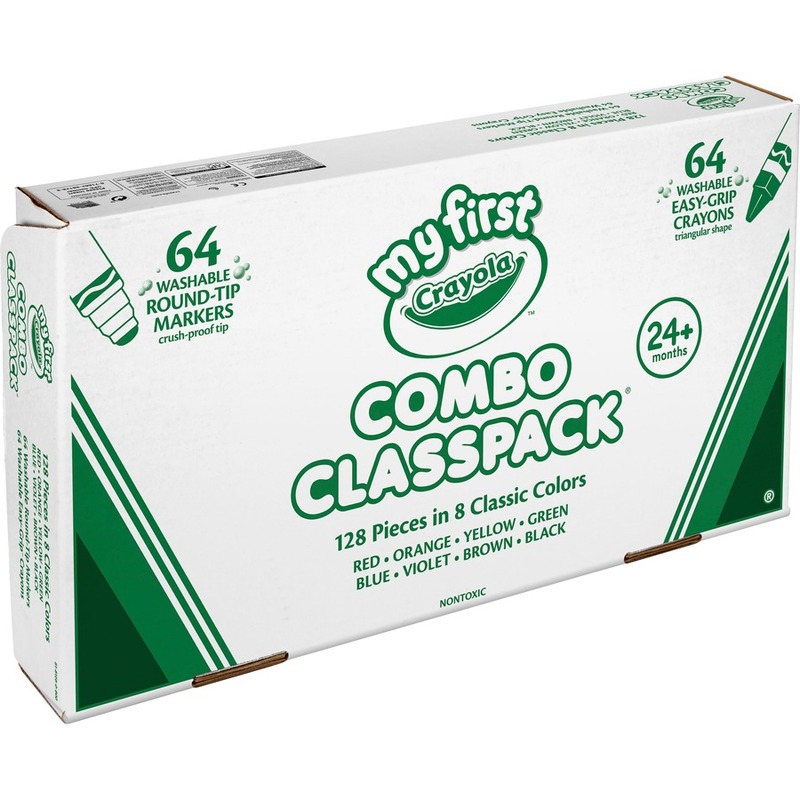 My First Crayola 128-count Combo Classpack combines two great tools for early artists: My First Crayola Washable Easy-Grip Crayons and Ultra-Clean Washable Broad Line Markers. 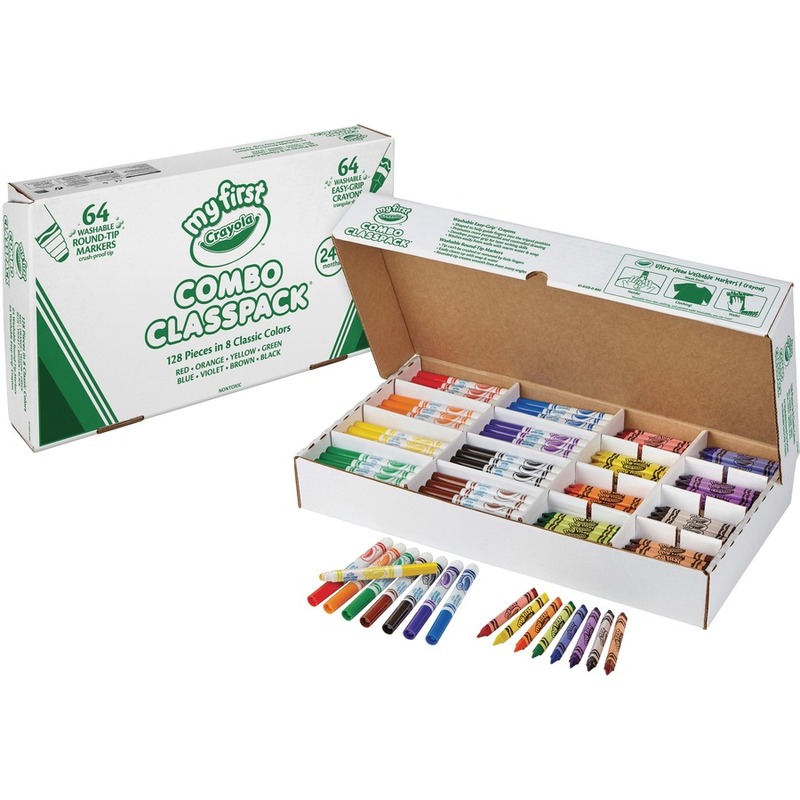 Classpack includes 64 crayons and 64 markers in eight different colors - enough for the whole classroom. Unique triangular shape of the crayons fits naturally between little fingers. They are fully washable and do not stain clothes, carpet or skin. The markers' Ultra-Clean washable formula washes off skin, clothing and walls. 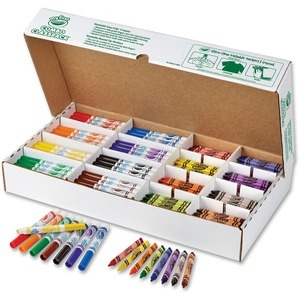 Durable, broad-line markers are ideal for drawing and coloring in large areas. Conical tip makes them versatile drawing tools, also making thin lines or dots. They lay down plenty of color and won't smudge or bleed through paper.